potato fingers recipe | crispy potato rava fingers | potato finger food with detailed photo and video recipe. a lip-smacking finger food prepared mainly from boiled potatoes, semolina and yoghurt. 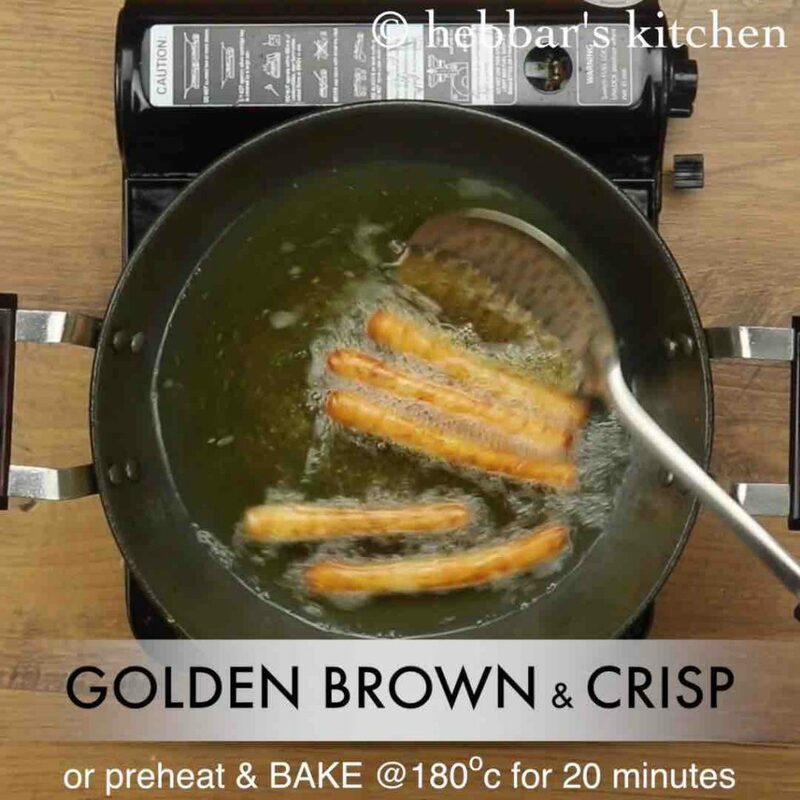 it is an ideal deep fried party starter which can be prepared within minutes without much hassle. 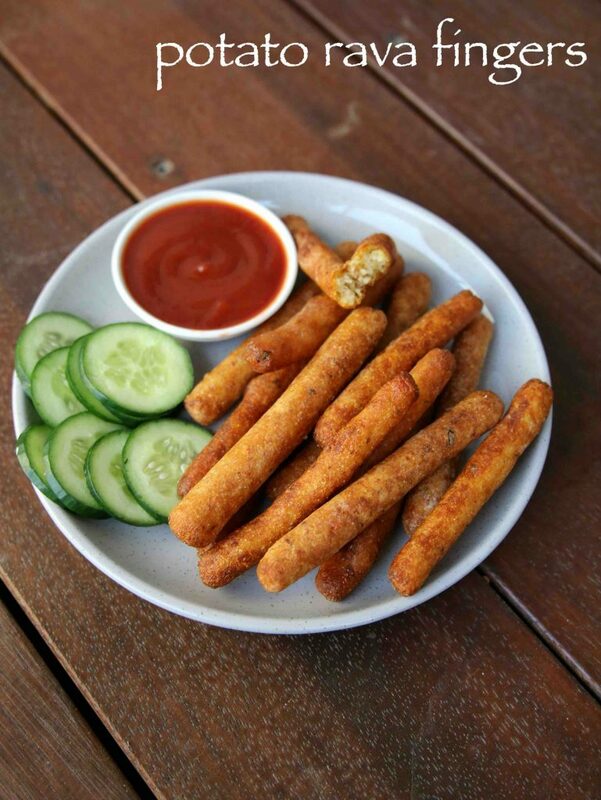 certainly these crispy potato finger food, not only appeals to kids but also to adults and adolescents. potato fingers recipe | crispy potato rava fingers | potato finger food with step by step photo and video recipe. there are several snacks and finger food with potato as main or one of the key ingredients. it can be either cutlet recipes, chips recipes or even the the kebab or rolls recipes and each has its own uniqueness. but certainly these crispy potato rava fingers are very unique with unique taste and flavour. 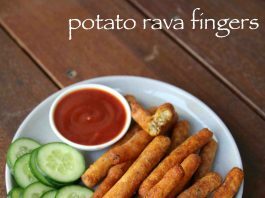 the recipe for crispy potato rava fingers is very unique especially with ingredients used in this recipe. generally the concept of finger foods was introduced by western world, which means food eaten with direct hands. generally the food is eaten with either fork or spoon and hence the name. as a contrast to indian habit, where food is most eaten with direct hand. yet these crispy mouth-watering potato fingers snack is termed as finger food for the indian audience. moreover the combination of semolina with boiled and grated potatoes with yogurt and spice makes it very much indian food matching the indian taste buds. 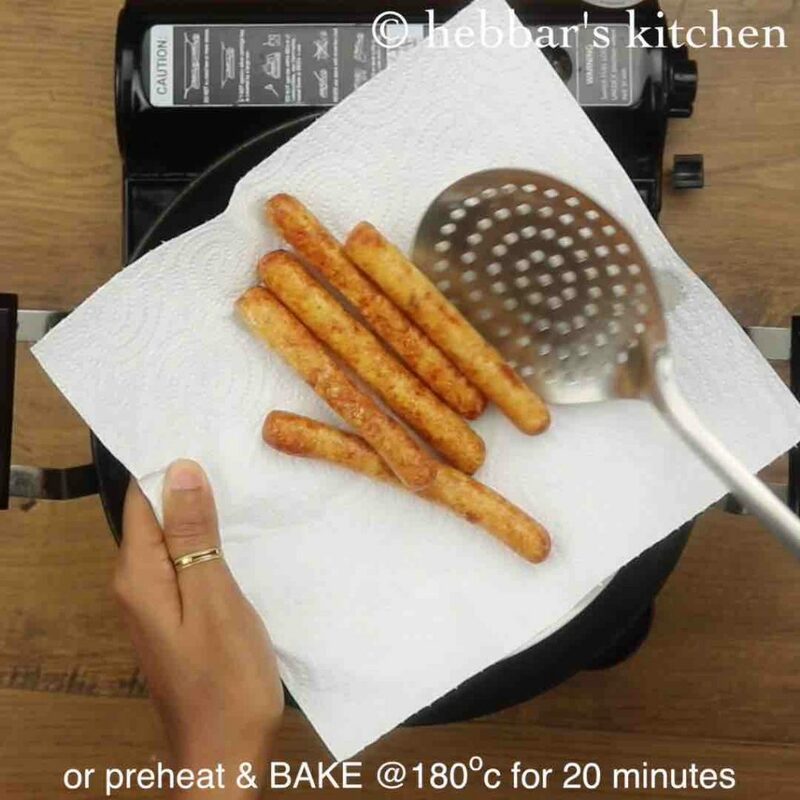 furthermore, some easy tips and variation for the crispy potato fingers recipe. 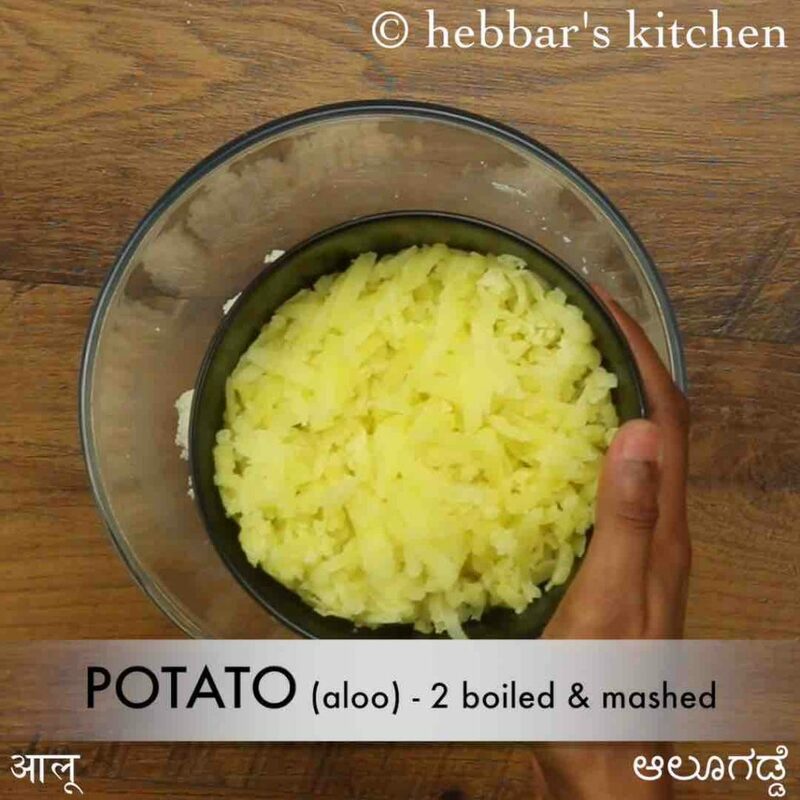 firstly, the potatoes can be either pressure cooked in a cooker or boiled in a open vessel as per your preference. but once cooked remove them immediately and do not keep those to absorb water and moisture. secondly, i have used upma rava or medium rava, but you can also use fine or thick rava if you do not have access to medium one. alternatively you can also use bread crumbs or even crushed oats in the place of semolina. 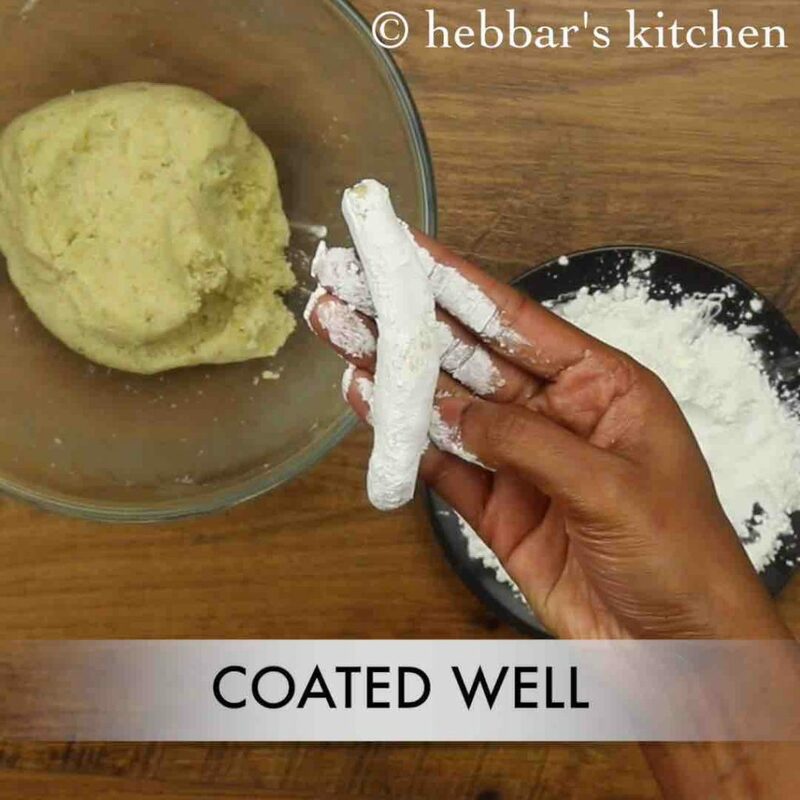 lastly, these fingers can also be pan-fried or shallow fried or baked if you have oil concerns. i personally recommend the deep frying option but not a mandatory option. 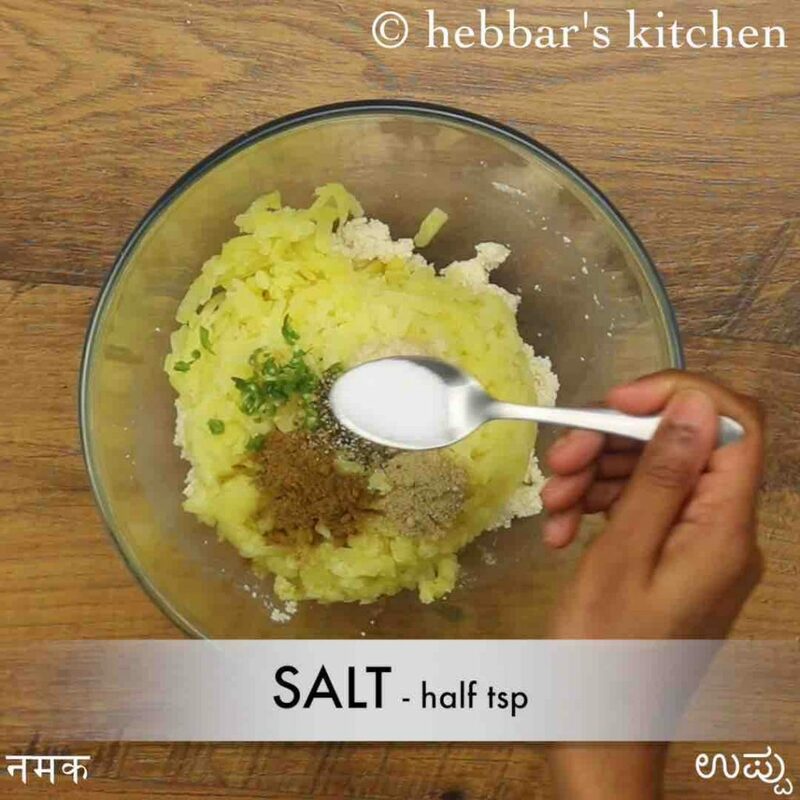 firstly, in a large mixing bowl take ½ cup roasted rava. 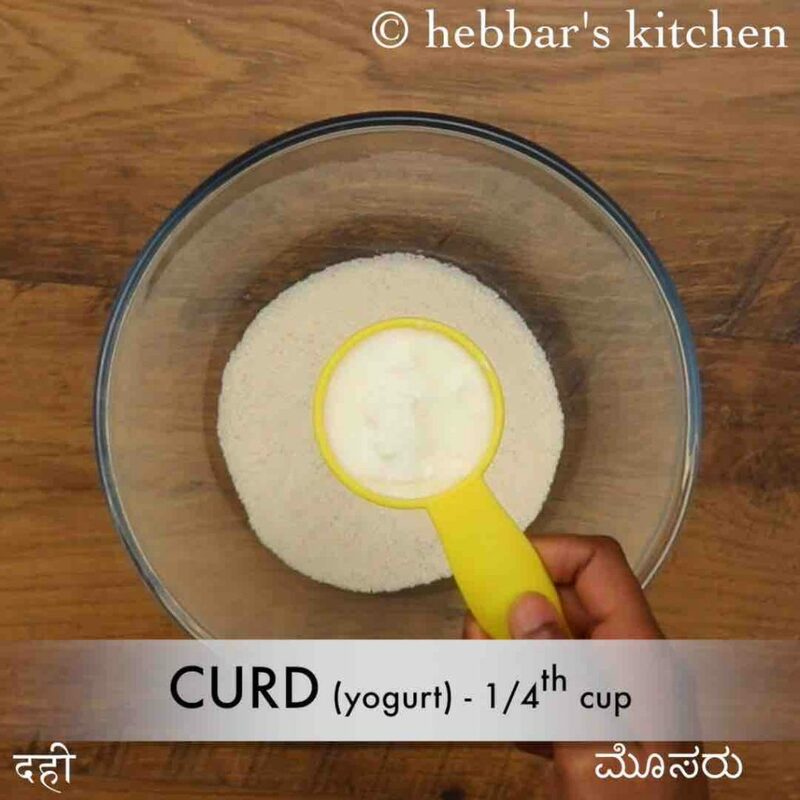 add ¼ cup curd and mix well. 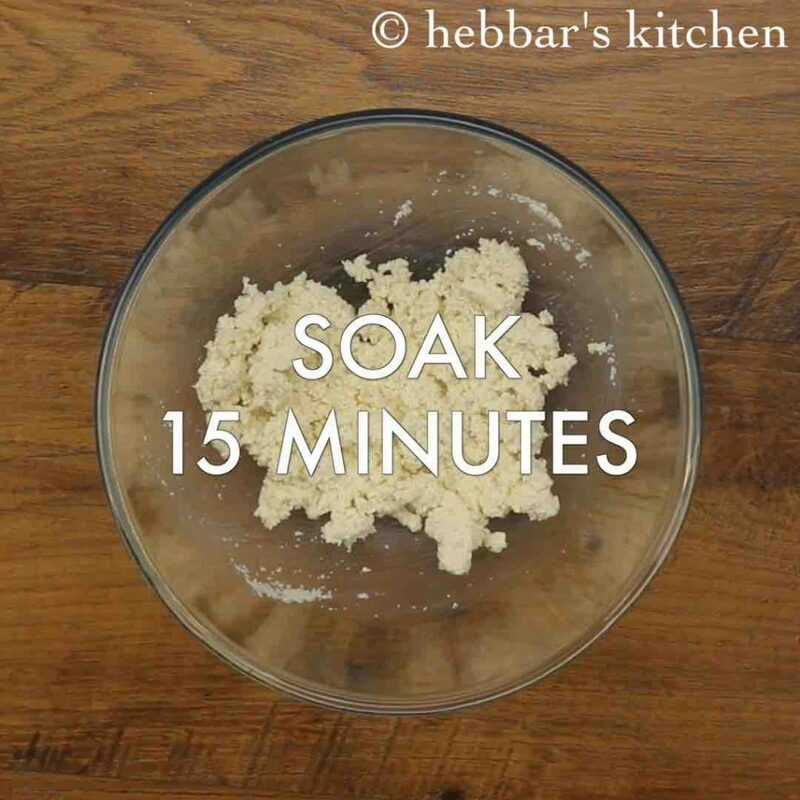 allow rava to soak for 15-20 minutes. now add 2 boiled & mashed potato. also, add 2 chilli, ½ tsp ginger paste, ½ tsp chaat masala, ½ tsp cumin powder, ½ tsp pepper and ½ tsp salt. 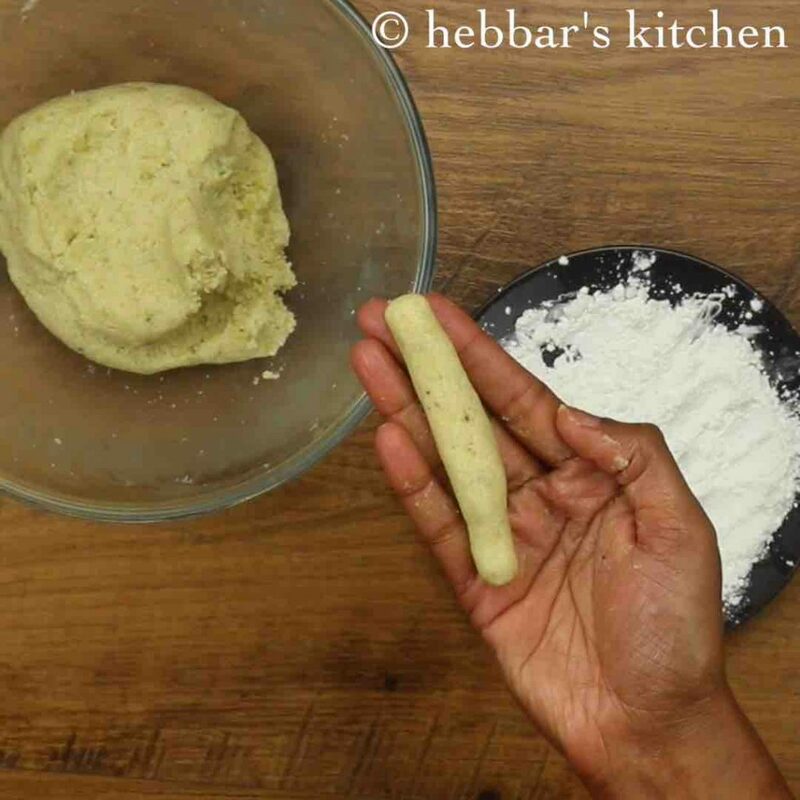 combine well to form a dough. 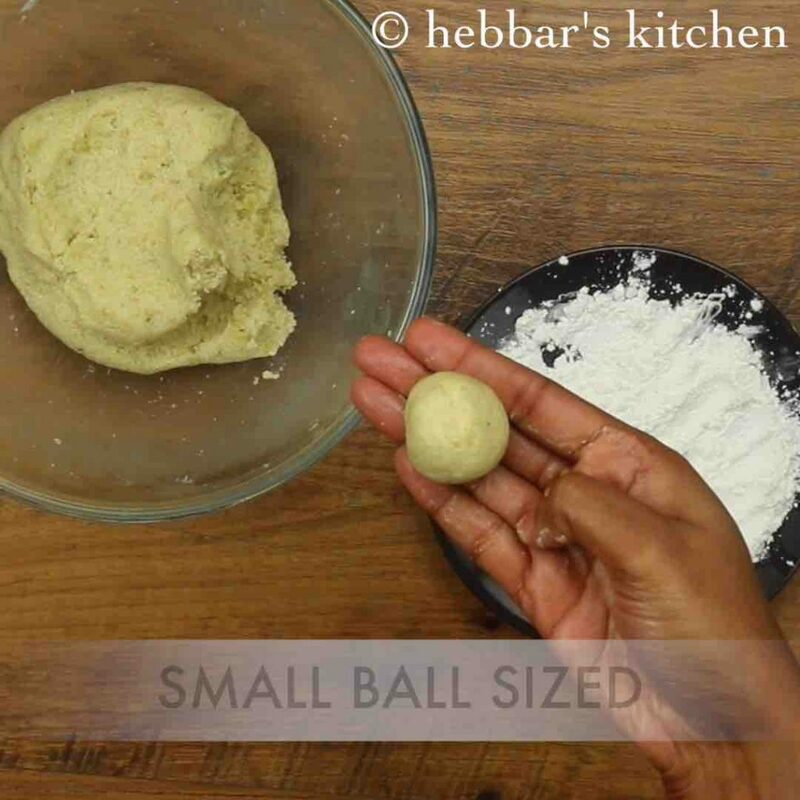 now take a small ball sized dough making sure to grease hand with oil to prevent from sticking. make a cylindrical shape to a finger length. roll in corn flour to get extra crispiness. 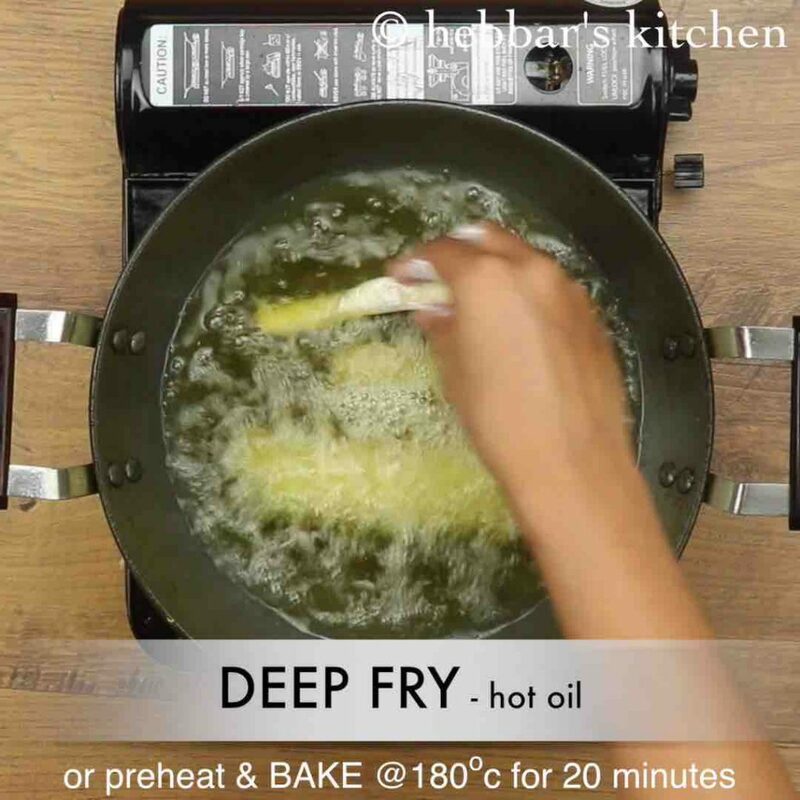 deep fry in hot oil or bake at 180-degree celsius for 20 minutes. stir occasionally, keeping the flame on medium. 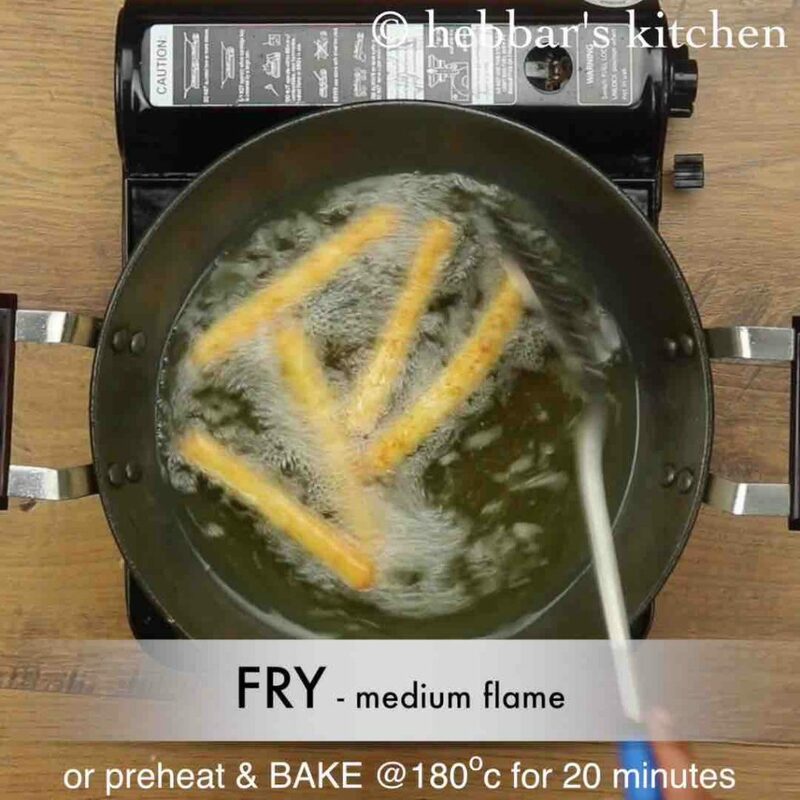 fry till the potato fingers turn crispy and golden brown. drain over a kitchen towel to absorb excess oil. 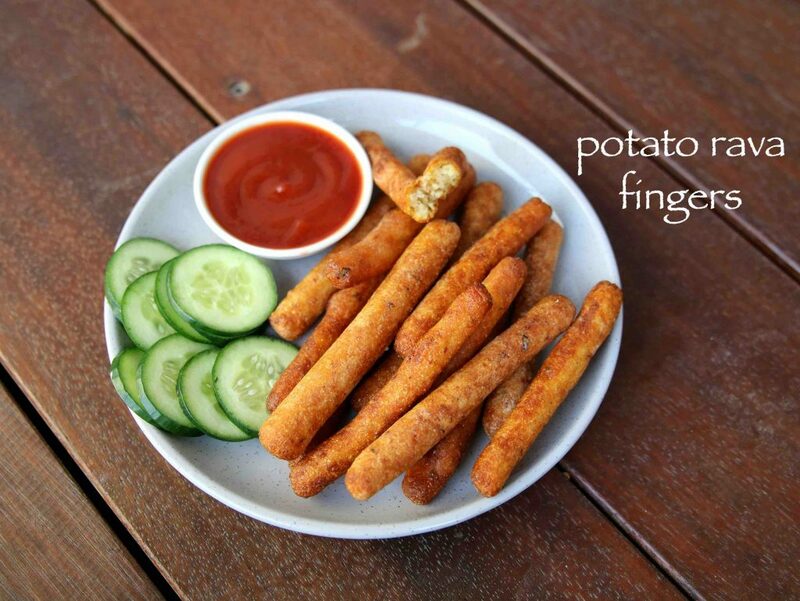 finally, serve crispy potato fingers with tomato sauce. 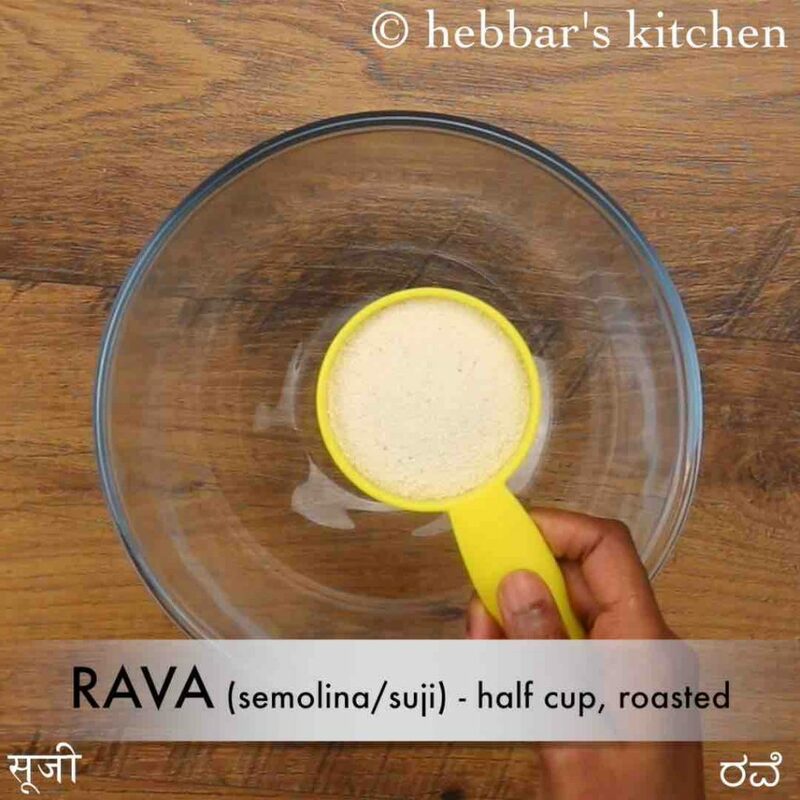 firstly, use roasted rava to prevent rava turning from stickiness. 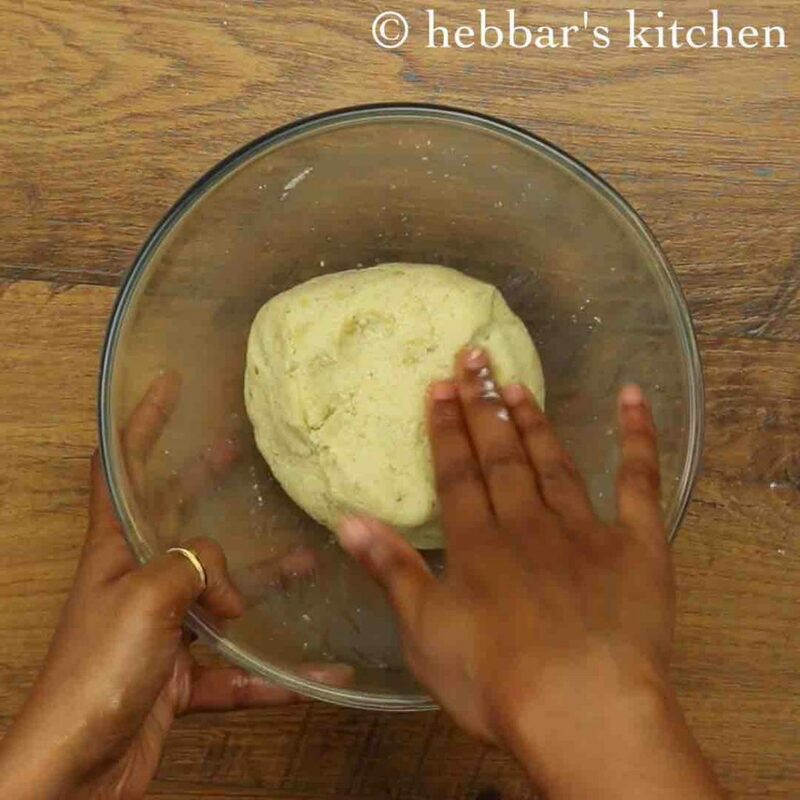 also, if the fingers break-in oil, make sure to add a tbsp of bread crumbs to the dough to absorb excess moisture. additionally, if you do not want to use curd then boil ½ cup rava in ½ cup hot water. finally, potato fingers taste great when served hot.